BusinessWeek has a special report on how corporations struggle with innovation. Despite the huge sums of money spent on R&D, surprisingly few innovations are created. Some companies manage better. 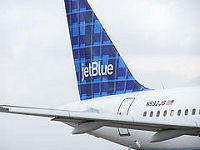 iPod and JetBlue are examples of products where the focus was placed on previously overlooked areas of user and consumer experience. With iPod Apple created a line of products that is easy to use, wonderful to see and touch, and clearly differentiated in the marketplace. JetBlue focused on the traveler's experience. What are the lessons learned from successful companies, then? Open up. Share your R&D with outsiders. Bring in design and innovation expertise. Send your top execs shopping for the products you sell. Lead the revolution. Champion a cultural revolution inside the company and scatter designers to work with engineering, marketing and branding units. Change managers. Hire more anthropologists and social psychologists, fewer engineers. Change the incentives. Reward new ideas, customer satisfaction and top-line revenue. Turn the innovation process upside down. Innovation in the 90s meant developing new technologies in the lab, designing a product and tossing it at consumers. Innovation today means observing consumers to discover what they want, then satisfying them with new products. The last point is almost painfully accurate. It is all too commonplace to confuse innovation with technology. Tech-centric innovation merely generates feature-ridden products that can frustrate consumers. Instead, start by analysing the problem, then develop a solution to it. The solution may be a technical one but it doesn't have to be. As long as it makes life easier for enough people it will sell.